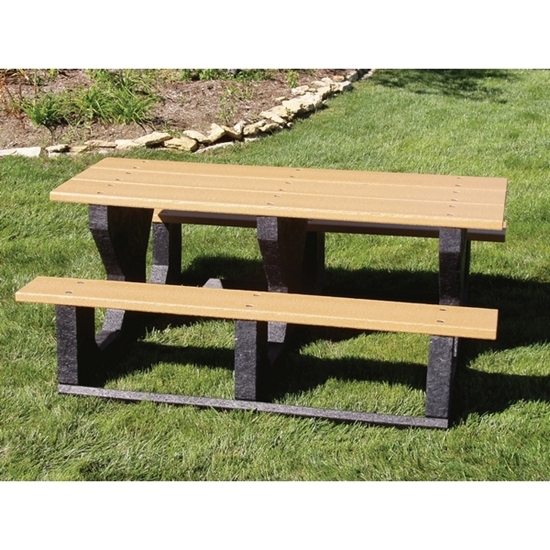 This 8 foot recycled plastic picnic table uses a heavy duty black commercial frame with three legs for cross braces. This table 2 x 10 boards reinforced in a rigid design to resist sagging and gives structure to keep this table looking new for years. We use a process with special UV inhibitors that simulates wood grain for a natural appearance with all the benefits of a 100% recycled plastic.